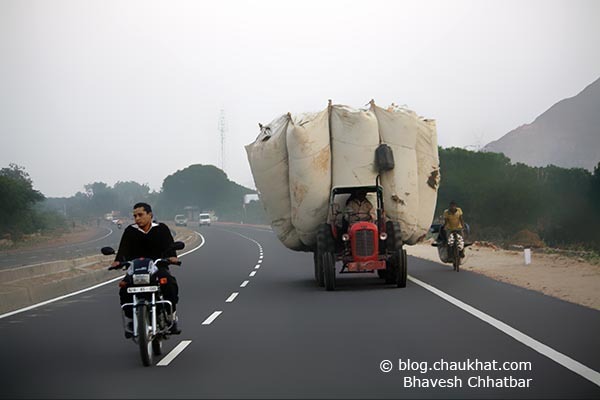 If you are in Jaipur, do go on a drive on NH 11; you will love it. Of course, you need to consider the season when planning a visit. Winter is the best time. Otherwise, you may be scorched by the sun. That's a huge load! Amazing. I'm very well and hope you are too! I'm doing good too :) Thank you for coming here! OMG, Bhavesh. The things you see there all the time would totally astound the rest of us! That's how rapidly India is thinking it is developing, where in fact, it is destroying every resource! Gulshan, this is not a job website. Nonetheless, if I do find something matching for you, I will contact you. Best wishes for you! © All rights reserved by Bhavesh Chhatbar. Powered by Blogger.